My children are very lucky, they have a playroom full of toys- beatiful wooden ones, noisy and colourful plastic ones, the soft stuffed variety, books and puzzles. Every room in the house seems to have been taken over by their toys, Duplo bricks and Hot Wheels constantly under foot. 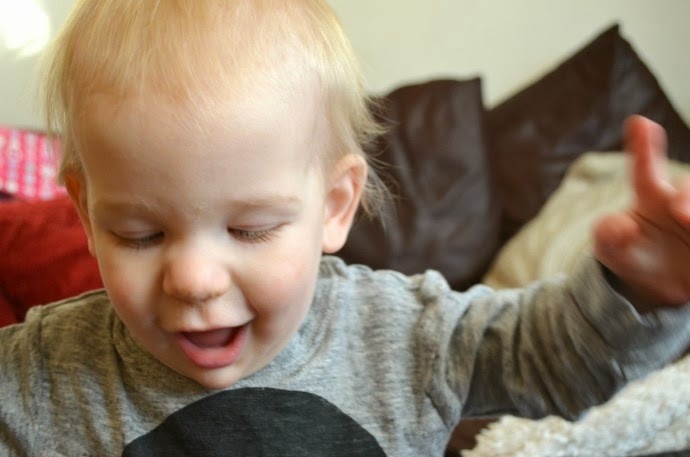 Despite all of this, the most coveted 'toys' seem to be the remote control for the littlest (he isn't silly, only the real one will do) and my phone for Dylan. 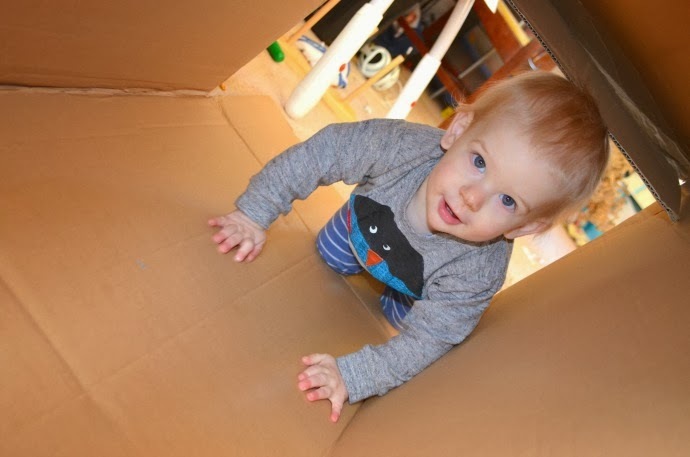 Recently we were sent some Little Tikes Cozy Coupes ready for our leg of the Team Honk relay and after an evening spent building one, we retired to bed leaving the newly built car and the box in the middle of the floor. 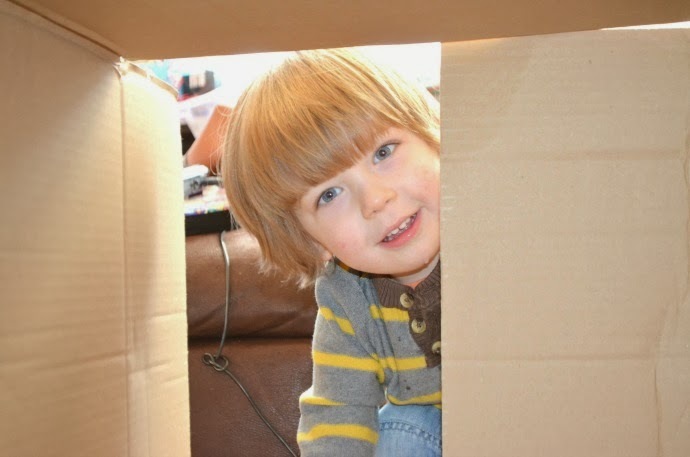 Come morning, two very excited boys discover the ultimate toy in their living room - a cardboard box big enough to fit two small children in. We opened up the end, making it into a tunnel and for the next two hours, were entertained with only an empty box and each other. 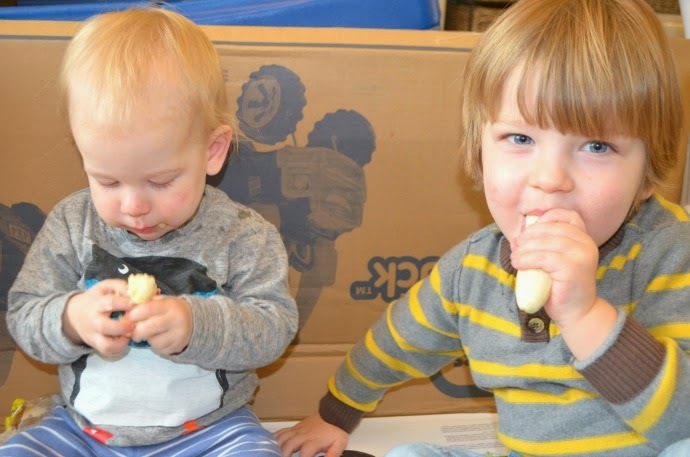 They chased each other round and through the box, sat in there together giggling and when it all got too much, they pushed it over and sat on it to eat their snack. 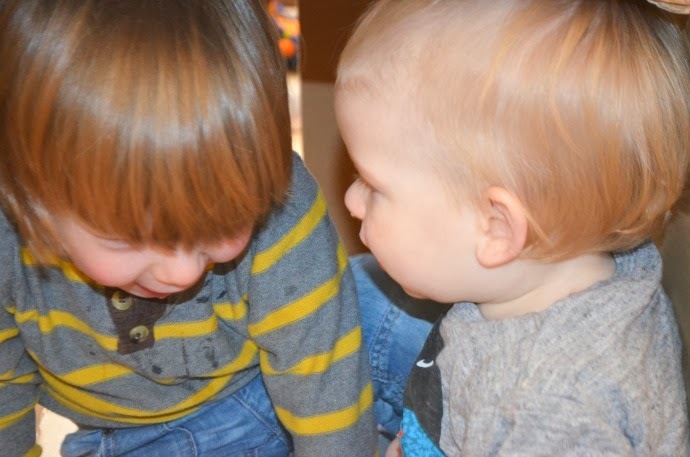 The games I remember from my childhood often involved upturned tables, garden chairs and other household items and it was lovely to see the boys playing so nicely together, so entertained by something so simple. 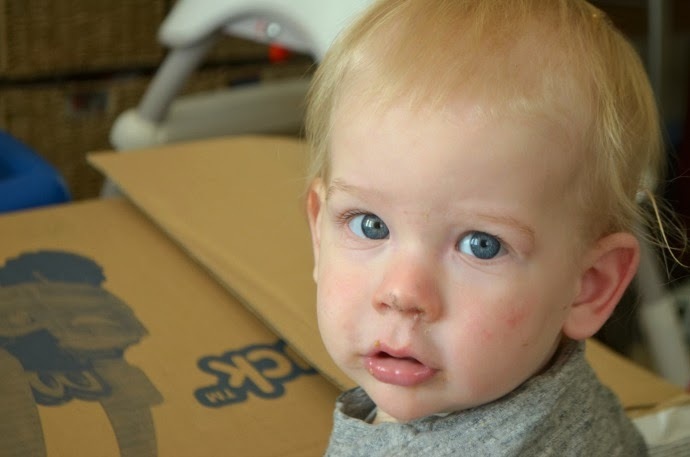 I will not be throwing away a carboard box again until it is bashed, squashed and covered in snot and banana! They really do, I may save some money for the little guy's birthday and just get him some packaging! My children always have the best fun playing with big empty boxes. 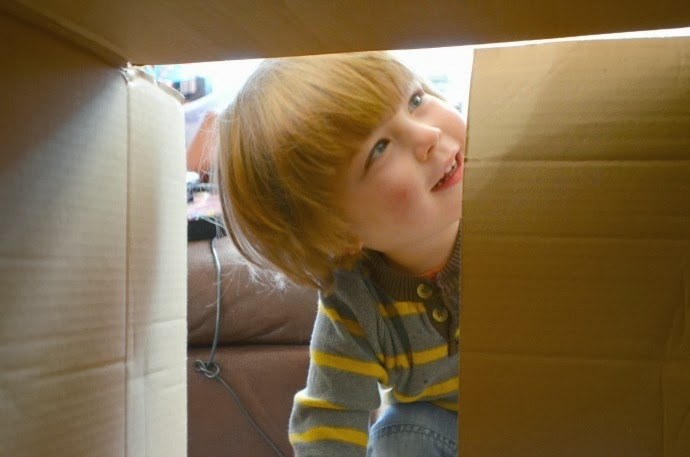 We recently made a big model castle with one of the cardboard boxes. We painted it and cut out a drawbridge etc. 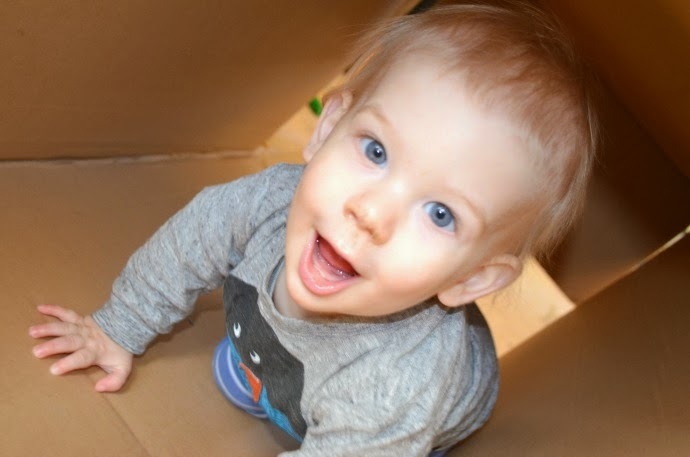 They too, have lots of toys and games, however, a cardboard box provides the most entertainment and holds their attention for long periods of time. It's the simple things that little ones seem to gravitate towards. I love that idea! I saw someone make train tracks with bridges and everything out of cardboard recently too. Nothing quite beats imagination, does it!